ELMA BPM software features a user-friendly interface powered with drag and drop. It makes business process modeling fast, simple and understandable. 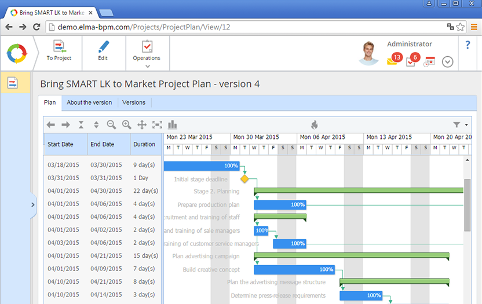 Create even the most complex business process maps and translate your business requirements into BPM apps. 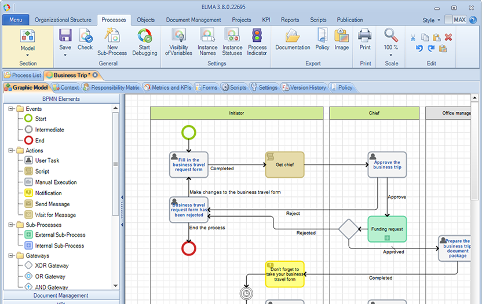 ELMA BPM makes workflow automation as easy as it has never been. 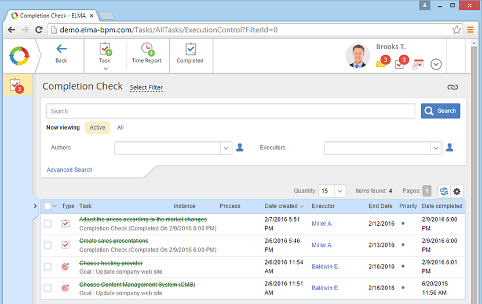 Turn a business process into an executable BPM app, and run it in ELMA Web Application. 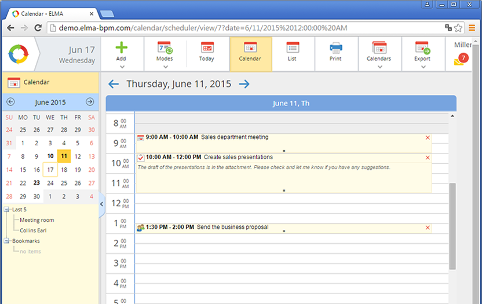 The system assigns tasks, sends notifications and makes sure your business procedures are followed. Automation helps you reduce costs, minimize human errors, and save time. 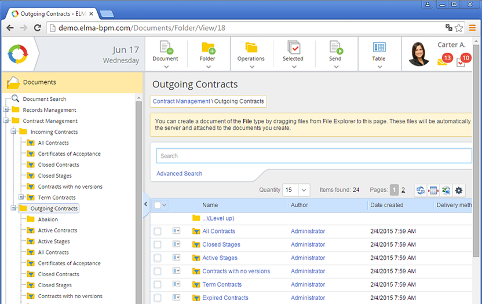 You can run your BPM apps on any device. 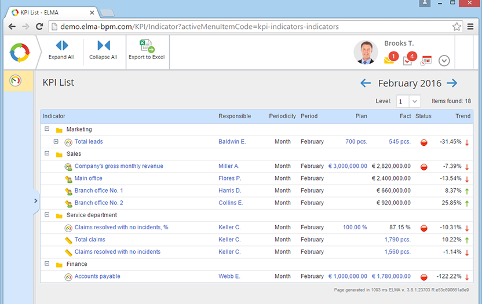 ELMA BPM software interactive dashboards help you to monitor tasks progresses and evaluate personnel workload. Take changes the direction of the business processes, easily identify bottlenecks and reallocate resources. With ELMA BPM you can enjoy outstanding agility when it comes to changing and evolving business processes. 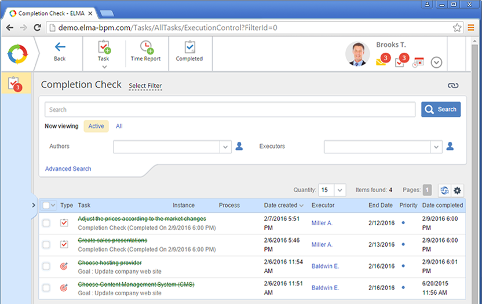 ELMA BPM software keeps the company up-to-date, allowing for a well-timed response to changing business requirements. 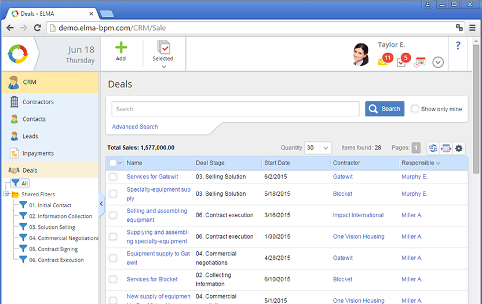 Increase control and visibility of your business activities. Subscribe to our blog and stay up to date with the latest BPM trends, discover helpful tips on business administration and find your way to digital transformation. Useful articles for developers and system administrators. Here you can learn how to implement custom features and scripts, develop your own extensions and modules. Watch ELMA BPM Video tutorials and learn how to model business processes, create organizational structure, configure system settings, and monitor KPIs. Become part of the ELMA community! Here you can participate in technical discussions, get insights, and make your own contribution. ELMA supports multilingual user interface. You can enjoy ELMA in 8 languages: English, Spanish, German, Russian, Azerbaijani, Kazakh, Ukrainian and Georgian. 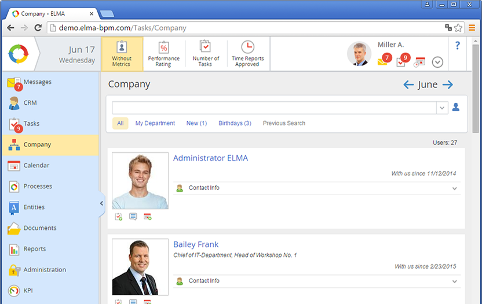 ELMA Store is an on-line store of ready-to-use BPM apps that extend capabilities of ELMA. You do not need to model business processes from scratch; simply download them from ELMA Store and start working right away. Try ELMA Community Edition. Its free!